Carpooling is one of the most efficient ways to travel, and it lives up to the adage, “killing two birds with one stone”. After all, the end goal is the same destination, and it makes sense to travel in one vehicle where possible, right? This is the same mentality that a local startup has looked into providing for their users. With that in mind, ride-sharing platform Grab has just introduced GrabHitch, an affordable door-to-door service which caters to commuters who are traveling to and from a specific location. It covers the cost by picking up those who are heading to the same location in the first place. It makes sense to introduce this now as in the Klang Valley alone, there are 6 million private vehicles with single occupancy vehicles (SOVs) and if everyone could carpool as little as one journey per week, that would cause a significant drop in traffic-related jams. Lesser jams equates to happier drivers, and that is the ultimate ideal end goal. In order to try GrabHitch, passengers can choose to pre-book a ride from a week in advance to up to 2 hours before the pickup time. They can do this by simply keying in their pickup location and destination. GrabHitch drivers should then pick up only one booking per trip and the fare will cover the driver’s variable costs such as petrol and car depreciation. What this means is that drivers can enjoy the security of choosing their passengers according to a set of preferences which are built into the app, such as same gender passengers, or nearest destinations, least detours, best prices or mutual Facebook friends. By doing so, both drivers and passengers will score the benefits of being environmentally-friendly and building on their mutual network at the same time. It also adds in a certain comfort and level of security to the service. For instance, if 2 employees of the same organisation may be travelling to work together from Subang Jaya to the KL City Centre, they could build a new friendship together whilst meeting a common goal at the same time which is to commute to and from work. 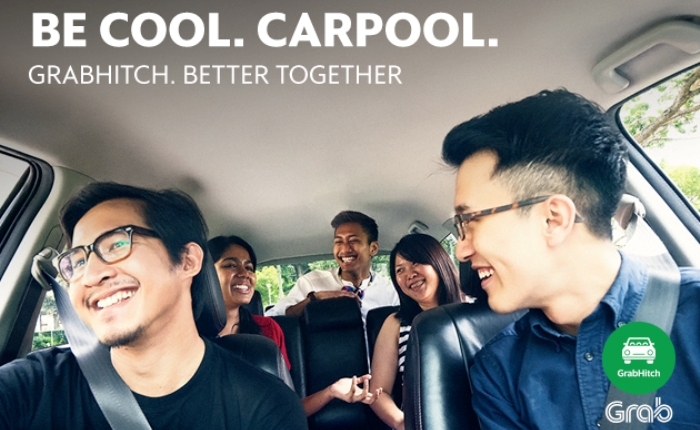 Carpooling might get a negative stigma in terms of one person benefiting whilst the other sacrifices but it need not be so, especially if both drivers choose to become GrabHitch drivers. That way they could even sort out an agreement whereby each driver drives on alternative days so that at least certain days will be free from the stresses of driving. 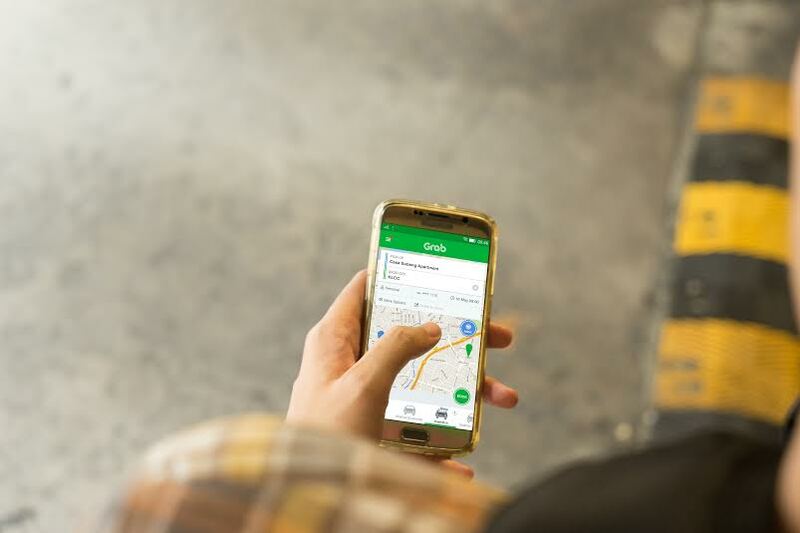 Malaysian drivers can now choose to sign up for GrabHitch by updating their Grab app or downloading the latest version for free on Google Play or App Store. In order to sign up, just click on the “GrabHitch” icon and select the “Drive” icon. Wise startups recognise that one way to appease clients is to make sure that their every need is taken care of, according to their ever-changing circumstances. Thus Grab’s move to introduce this new alternative—amongst the current options such as Budget Taxi, GrabCar, GrabCar+, and Executive Taxi—shows that they are moving towards further diversifying their services, which is a smart move seeing as consumer these days are getting pickier and they appreciate variety. By May 15, commuters can begin scheduling their rides with the app. 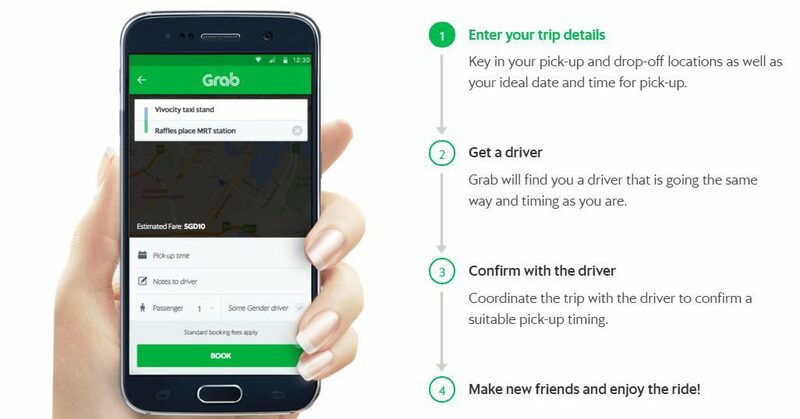 The very next day on May 16, GrabHitch pioneers, which includes the staff of Grab Malaysia as well as the first batch of GrabHitch drivers, will be offering free rides to passengers. 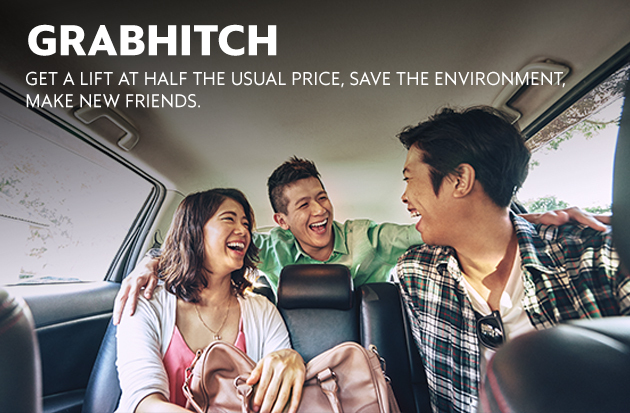 To find out more about Grab and GrabHitch, visit their site here.